With its connotations of rabid – or overly excited – dogs, the word ‘unleashed’ is an apt title for an eccentric exhibition currently running at Brentford’s Watermans gallery, given the quirky contents of the show. 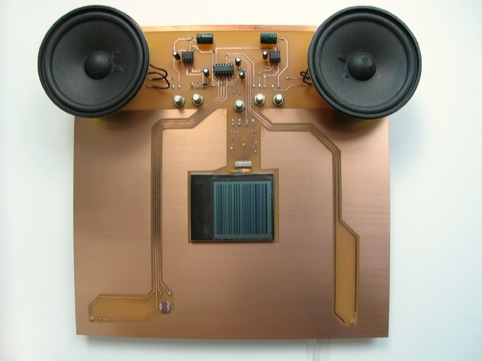 Curated by Irini Papadimitriou, Unleashed Devices features an array of artistic oddities concocted by 30 artists and designers from everyday electronic gadgets. These have been reconstructed, remixed and reinvented to challenge perceptions of technology, music, art and design. 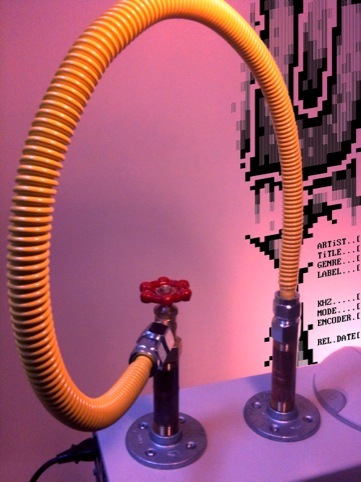 Described in the catalogue as ‘DIY, hacking and open source projects’, the exhibits range from Andy Deck’s © – Hold Control, with a sink tap that enables visitors to turn on and off a video stream of graffiti-style imagery, to Thessia Machado’s Interference interactive sculpture, which uses light sensors to respond to visitors, modulating the sound signal on an LCD display. 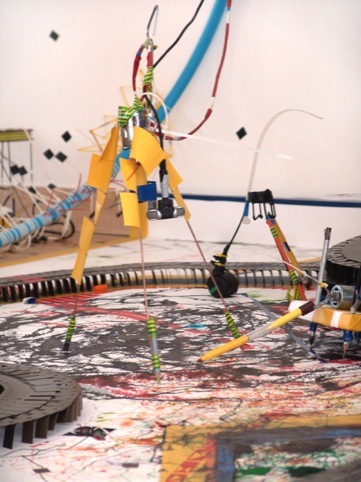 Mary Thompson’s Ludic Automatons use various electrical parts to create autonomous drawing machines. Meanwhile, Daniel Ploeger’s Suit offers sound-based works in a self-built PVC performance overall. It’s all very resourceful stuff, totally in keeping with current cradle-to-cradle environmental thinking. And the exhibits might even experience rebirth after the event – back in the homes they came from. Unleashed Devices continues at the Watermans, 40 High Street, Brentford TW8 until 22 October. Check it out on http://www.watermans.org.uk.